This is the home of connections. The stylish, contemporary design features open kitchens with quartz countertops, stainless steel appliances, oversized windows, exposed concrete ceilings and modern bathrooms with washer/dryer. A collection of lifestyle amenities offers an environment of relaxation, comfort and convenience. Relax in the sky lounge with panoramic Boston views, be an innovator at the cyber cafe, workout in the 24/7 fitness center and yoga studio, or gather with friends at the swimming pool and BBQ grills. The Concierge will sign for packages and facilitate dry cleaning. Four-legged residents will love the dog wash! 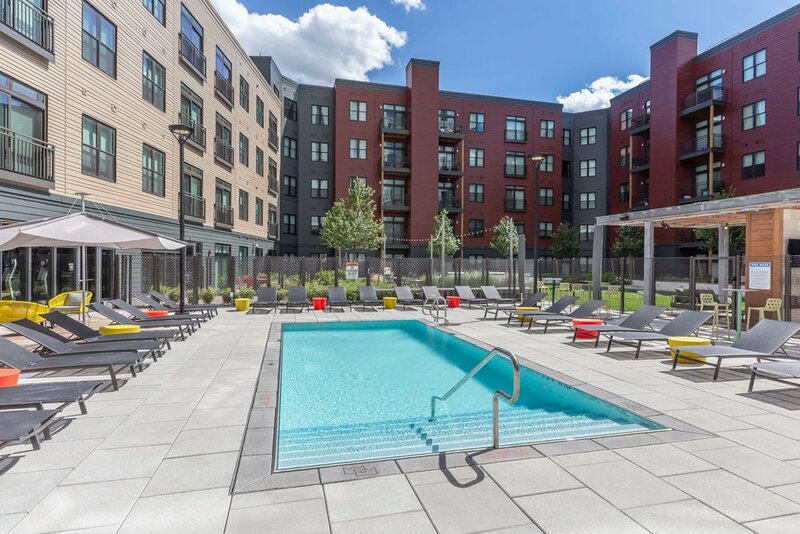 Located directly across from the Orange Line’s Assembly Station and only 3 stops to Boston, plus easy access to I-93. Assembly Row is thriving with restaurants, shopping and entertainment. It's all here. So, come in, and make yourself at home!